Enjoy teeing up on a regular basis? 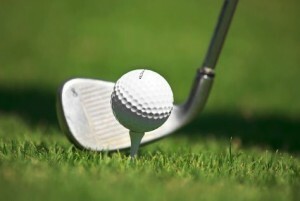 Living in a golf course community has obvious appeal to those who enjoy the sport, or leisure time as some see it. For the family members that do not golf, a home in a golf course community often affords a wonderful green vista, whether from your living room window or your views as you enter and leave the community. I have lived on a golf course in Miami beach, and here’s a few aspects to consider. Make sure you know which hole you are in the direction of! In Miami, we had a clay roof, and gdink gdink was a familiar sound a few times a week. Good to spend some time in the home at a busy time on the course – can you hear the carts? Contact the golf course to find out what they use. There are studies showing the danger of pesticides and some courses are using organic options. General Community restrictions – see our article on gated communities here. I have so much fun looking into new ways to market property, on a local, national and international basis. Even as the internet has changed the way that buyers search for real estate, the selling process has not changed in a major way. Its time has come. At All-Star Powerhouse, we are changing the way that people search and sell real estate. Teams around the country are learning our approach, and I look forward to ongoing feedback on how it works in their market, and what they add to the process.